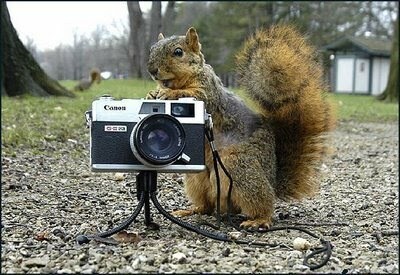 RED SQUIRREL and THE SQUIRREL BRIGADE! 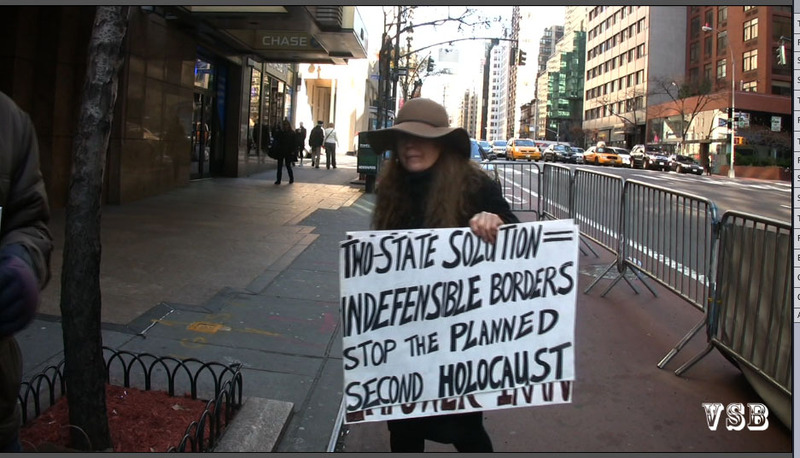 AFSI'S ANTI-DEMOLITION DEMONSTRATION was held in front of the Israel Consulate on a chilly Sunday morning, December 11, 2011. The protestors gathered to support and speak of their love of Israel. 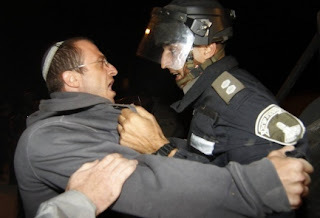 The protest was triggered by the recent destruction of the synagogue at Givat Aryeh, and the confiscation of the Torah scrolls. We also protested additional planned demolitions about which we have been informed: in Givat HaUlpana in Bet-El, Givat Assaf, Amona, and additional demolitions of homes in Migron. The AFSI Chizuk group saw three demolished homes there on our recent November visit. 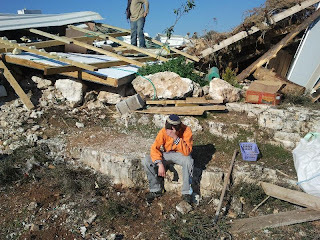 The uplifting story of the creation of Givat Aryeh by a group of young, Jewish pioneers, led by YEDAYA SHOHAM, in response to the brutal butchery of five members of the Fogel family in Itamar, descends into a tragic tale of demolition and disgrace. 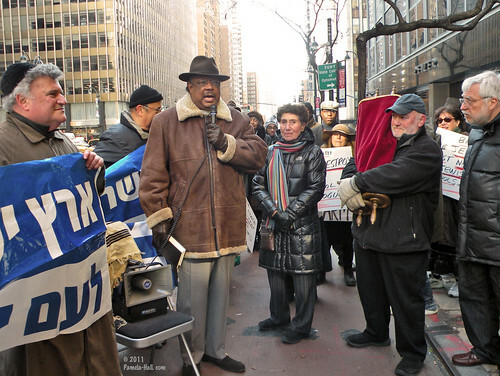 AFSI was privileged to be part of the joyous creation of the synagogue, and the dedication, on Nov. 15, 2011, of a Torah scroll rescued from the Holocaust. 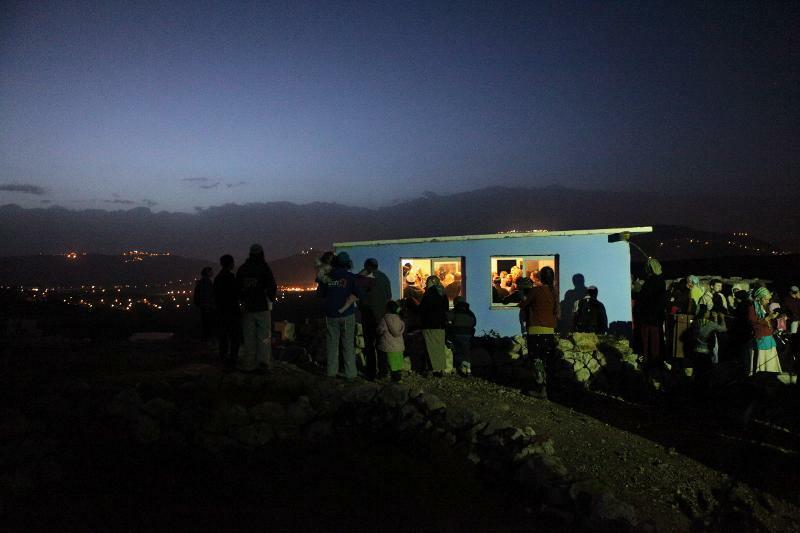 On Dec. 1 we learned of the Israeli government's betrayal of its purpose and its people when it sent in a Destructo squad, including Arabs, to demolish the modest tent homes and the synagogue on the hilltop. It is with a sense of disbelief and shock that we continue to hear about the program being conducted by the Bibi/Barack demolition crews in Israel. 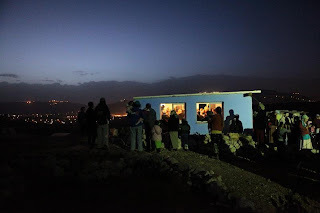 In the middle of the night, Destructo crews are sent in to small, hilltop communities, the inhabitants are thrown out of their beds, out of their homes, and into the cold night. Total disregard is paid to babies, nursing mothers, children, the elderly, and adults. Synagogues have been destroyed, private possessions thrown broken and littered along the ground, and lives are left in limbo. Just two weeks ago, we celebrated the dedication of a new Torah scroll that was presented to the residents of Itamar and Givat Aryeh in the Shomron by its sponsor, AFSI member Jack Ross. Now we are totally disheartened to learn that the destruction of this community was orchestrated by a decision of the Netanyahu/Barak government. Teenagers who should be enjoying the carefree years of youth, are left embittered and bewildered by the scenes of the IDF, the police, and Arabs, destroying their homes. The love and trust placed in one's parents and government is shattered. Where does one turn for security and protection? The disillusionment and despair is devastating. 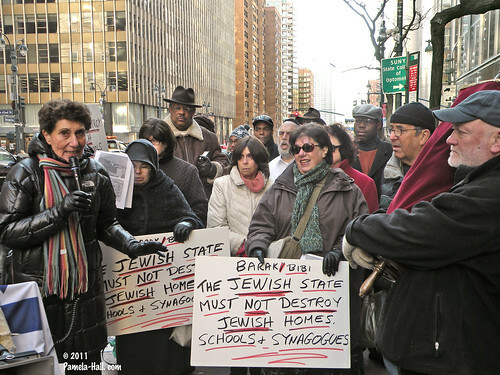 "I had invited many rabbis and mainstream Jewish leaders to attend this demonstration. Many refused; saying that they didn't believe in criticizing Israel in public. I responded by saying, "If your beloved is about to walk off a cliff, wouldn't you reach out to restrain him?" 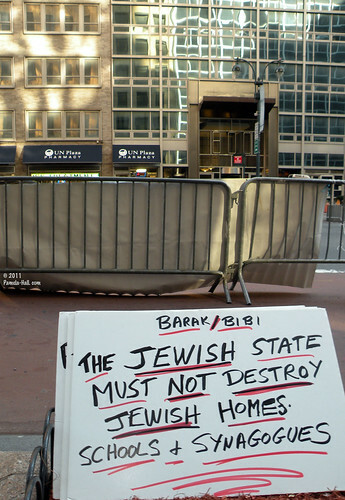 Protesting AGAINST Israel was something none present took lightly but the current policy of destruction and demolitions must stop. We must not remain silent witnesses to this disgrace. THE VIDEOS are each uniquely powerful statements. I'm posting all 14 in a Playlist on You Tube. The video playing will go automatically to the next video OR you can click thru to YOU TUBE to see the whole page. There are FOURTEEN (14) short videos in the playlist. Helen Freedman ( Exec. Dir. AFSI), Pastor James David Manning of the ATLAH World Missionary Church. 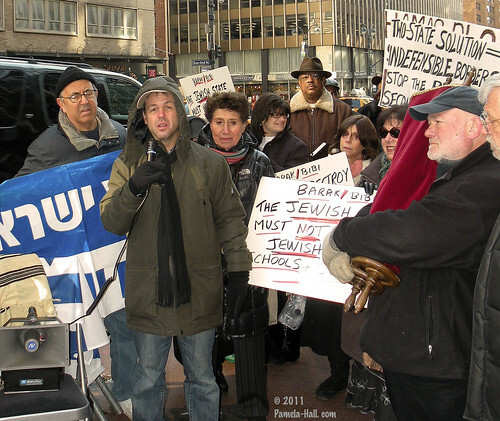 Radio Personality and long-time Jewish activist, Charlie Bernhaut, Raanan Isseroff, a representative of the Chabad-Lubavitch movement. 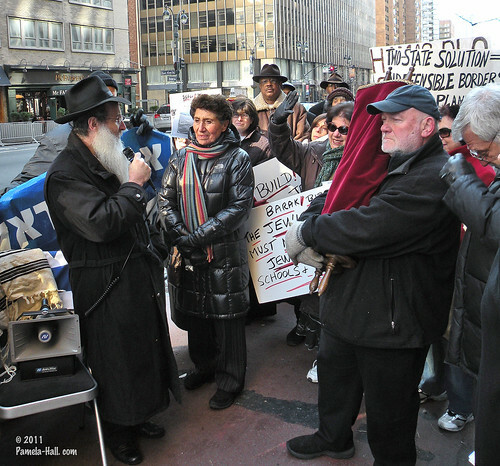 AFSI members Bob Unger and Jack Ross (who had recently dedicated the Torah Scroll that was confiscated). David Jacobs now lives in Israel with his family and spoke of the anguish he felt seeing the synagogue destroyed (in Gush Katif) where his daughter held her Bat-Mitzvah. 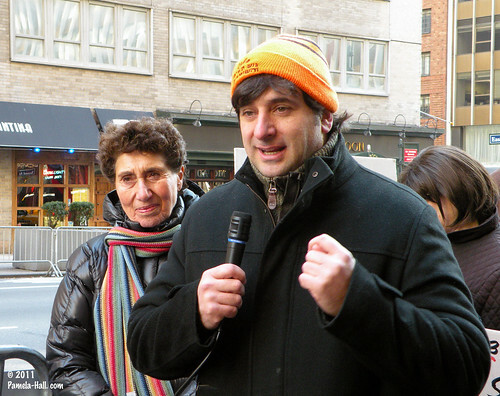 Brooklyn resident Robin Ticker, Manhigut Yehudit spokesman Rob Muchnick and veteran AFSI volunteer Charlotte Wahle. In keeping with the theme of Chanukah, speakers pointed out the hard fight that the Maccabees had against the “political Jews” of that time. Jews who put their faith in the Greek nation first. Much like today, where Jews around the world look to the nations of the world for the very survival of Israel. Nations who historically caused the Holocaust. Yet from them, they seek salvation. And like the political Jews of days of old, this faith in the nations was to such an extent, that it was not beyond them to put Jews in danger and even joined the Greek legions in fighting against those heroes, the Maccabee’s. While this seems romantic looking back, we are each left with the question of whose side are we really on today? Have we unwittingly aligned ourselves with the “Political Jews”, those Greek Jews of the Chanukah story against the very hero’s we so revere? Today, the situation is so similar. It will only be with those people who are the “small jar of pure oil”. 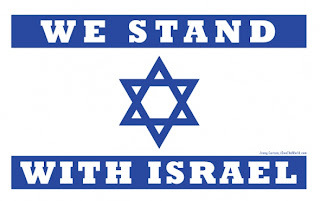 Those who feel the sacred mission of the Holy Land and its Jewish place in the destiny of the world, that Israel will again please G-d, regain its senses and begin to once again put the safety and necessity of Israel’s Jews first. More from AFSI: Who they are and suggestions on what YOU can do to help. 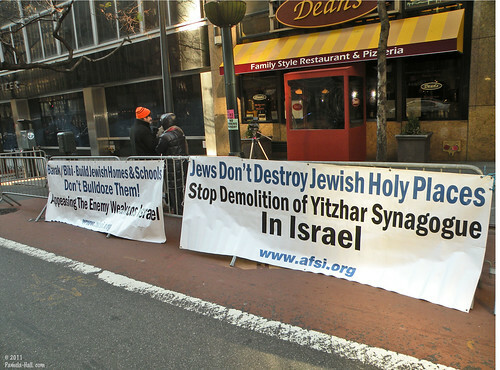 AMERICANS FOR A SAFE ISRAEL/AFSI has been in the forefront protesting against the inhumane, pointless, self-abasing destruction of Jewish synagogues and homes in the Shomron by the Israeli government. Our message has continuously been that destroying the lives and livelihood of Jews who are adhering to the biblical injunction to inherit the land and to settle in it, is a violation of all the trust and purpose inherent in the creation of the State of Israel. We plead with PM Netanyahu and Defense Minister Ehud Barak, as well as the Israeli Supreme Court justices, to end this disastrous program immediately. 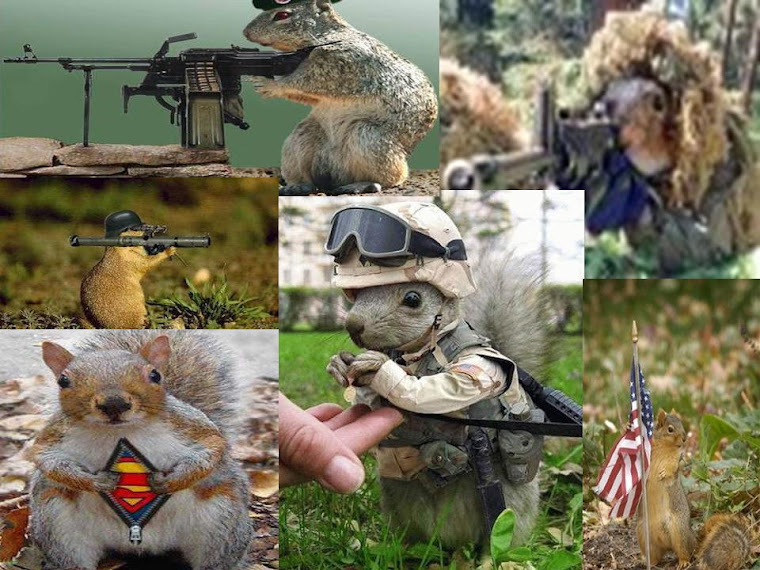 AFSI has been reporting on the Israeli Destructo squads continue their dirty work undeterred by logic and common sense. Wouldn't it seem natural to suspend all demolition orders while Israel's citizens are under rocket attack from Gaza, and the threat of rocket attack from the north? These matters seem to be unrelated. The demolitions continue regardless of the fact that they ignore the realities on the ground. Arutz Sheva (www.israelnationalnews.com) reports on the destruction of homes in Mitzpe Yitzhar. The heartbreaking photos of this useless, unwarranted, self-abasing, cruel and inhumane action are here>>. Other communities are also threatened. Yesha Council Chairman Danny Dayan sent a letter to all of the ministers and MKs, noting that 150 homes, housing 1,000 Israelis who have lived in their homes for over ten years, are scheduled for destruction in the near future: Givat Assaf, Ramat Gilad, Migron, the Ulpana neighborhood of Beit El, and Amona are all on the list. Emails should be sent protesting against this despicable program.